In many ways, Julian Morales is like any other 7 year-old boy. He loves sports, his friends, and his little sister, Isabella. What sets him apart is that when it comes to sports he can watch, but he can’t play. When his friends have birthday parties, he can’t go. And when he spends time with his sister, it’s often on the couch because he doesn’t feel well. 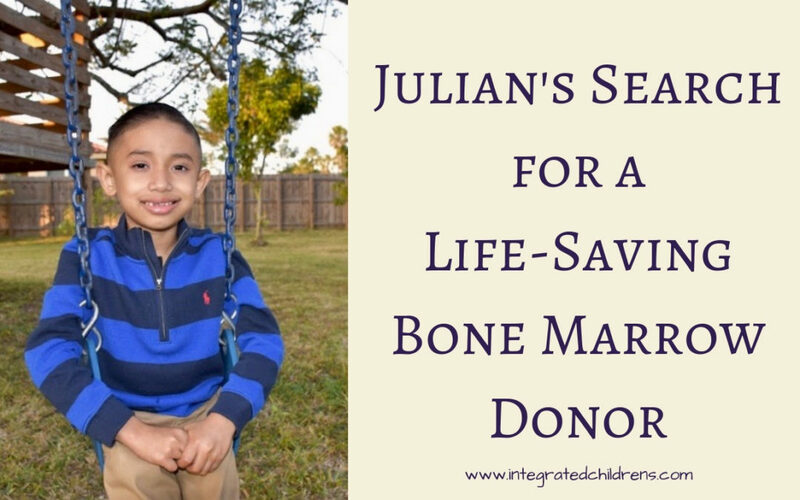 Instead of attending after-school activities, Julian attends doctor appointments. He carries a weight that’s heavy for a 7 year-old: The weight of knowing he has Dyskeratosis Congenita, a rare, progressive and life-threatening genetic disorder that interferes with his bone marrow’s ability to produce blood cells. This results in a weakened immune system and symptoms including fatigue, joint pain, and mouth sores that cause ongoing drooling and make it difficult to eat. Julian’s shot at being a regular kid, and ultimately surviving, lies in a bone marrow transplant, for which his family has been searching since he was diagnosed at age 3. Finding a bone marrow match for Julian has been a challenge that often feels insurmountable. Soon after he was diagnosed they had a match, but the person decided not to go through with it. The family was devastated, but they forged ahead, embarking on a daily quest that continues today. Mayra points to three main reasons it’s so hard to find a match. “First, it’s lack of education. People don’t understand that becoming a bone marrow donor is as easy as swabbing inside the mouth.” What’s more, people may fear the transplant procedure itself, which according to Be The Match (an organization that manages the largest and most diverse marrow registry in the world), is straightforward and painless, done under anesthesia in an outpatient setting. Mayra says the second reason finding a match is so difficult is “lack of diversity.” According to Be The Match, a person’s best chance of finding a donor may be with someone of the same ethnic background. For Julian, whose background is Mexican and Nicaraguan, this lowers his chance of finding a potential donor to just 7%. Finally, Mayra talks about a general, disheartening lack of awareness and compassion. “Because these disorders are so rare, there isn’t a lot of research.” This, in turn, makes it hard to find doctors they trust, treatments that work, insurance that covers their medical bills, and people who are willing to become donors. “I’ve been at events to recruit donors and had people say, ‘Why would I do that?’ I want people to look at it this way: We used to be just a regular family, taking our kids to Disney without a care in the world. 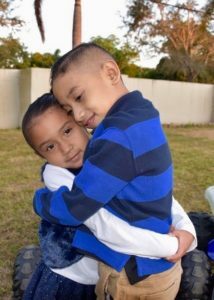 Our only goal was making sure they were growing up happy.” From one day to the next, their goal became keeping Julian alive. “It could happen to anybody,” Mayra says. Despite the daily anxiety and worry about Julian’s survival, Mayra and Dany never give up hope. They immerse themselves in telling everyone they can about becoming a bone marrow donor: From Isabella waving flyers out the car window and yelling, “Hey, can you help my brother?” to organizing swabbing events and educational classes. 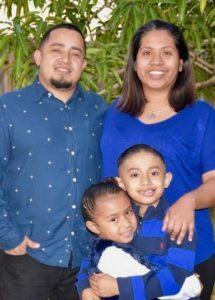 The family is on a mission to not only help Julian, but also others whose lives could be saved by a bone marrow transplant.